In the past month since the passing of moreinu ve-rabbenu (our esteemed teacher), much has been said and written about Rav Aharon Lichtenstein. Each speaker and writer has tried to shed light on some particular aspect of the uniqueness of this Torah giant. Personally, I’ve remained fairly (and uncharacteristically) silent. It’s not that I don’t have anything to say – to the contrary, I could write many tens of pages about the formative impact he had on me and the immeasurable amount of things I learned from him over the decades. I have basically remained silent, though, because I didn’t want to say things that have already been said. As our Sages put it, kol hamosif, gore’a (adding can sometimes take away). But now, on the occasion of the shloshim (the conclusion of the thirty-day period of mourning), I do have an insight to share. I want to discuss a term that I have heard – and used – again and again over the past month when speaking about Rav Aharon: Gedol HaDor (the great one of the generation) . Calling Rav Aharon a Gedol HaDor may seem unremarkable, but it is actually somewhat of a paradox, because it’s a term that he didn’t use very often. He certainly never referred to himself by that title, but he also didn’t generally use it to refer to his own revered teachers and other Torah giants of this generation or of previous ones. There was a reason for that. You see, in contemporary Orthodox discourse, the term “Gedol HaDor” (or the more generalized plural term “Gedolim”) has taken on meanings and connotations that don’t really exist in classic Jewish sources. The contemporary use of the term Gedolim is associated with a philosophy about which Rav Lichtenstein often expressed reservations or objections. Nowadays, when the term Gedolim is used, it’s generally applied to a select group of specific individuals, as if it connotes an objective status or position to which one must be appointed. Those crowned as Gedolim are granted wide-ranging authority. Their halachic rulings are deemed binding on the entire generation, and automatically override those of any other rabbi who is not considered a Gadol. On matters of public policy, their word is final and as binding as the instructions of the Torah itself. In some circles, their prayers and blessings are deemed to possess supernatural power, their predictions and pronouncements are regarded as prophetic and their personal instructions – even on non-halachic matters – are deemed binding. When the term “Gedolim” is used these days, it is often accompanied by the assumption that there is unanimous agreement as to who is a member of this group, and who is not. There is not, however, an agreed-upon mechanism for obtaining the status of “Gadol”. And while some of those designated as Gedolim in recent years and decades were undoubtedly worthy of the title, I’m not so sure about others. And there definitely are some individuals who I believe should be on such a list, but for some reason aren’t. For his part, Rav Lichtenstein was steadfast in his insistence on the absolute supremacy of halacha and the requirement that only qualified posekim (decisors) issue halachic rulings. He also spoke frequently about the need to hold Torah learning and Torah scholars in high regard, and about the esteem he had for his own teachers. Still, I don’t recall him using the term “Gadol” very often, if at all. 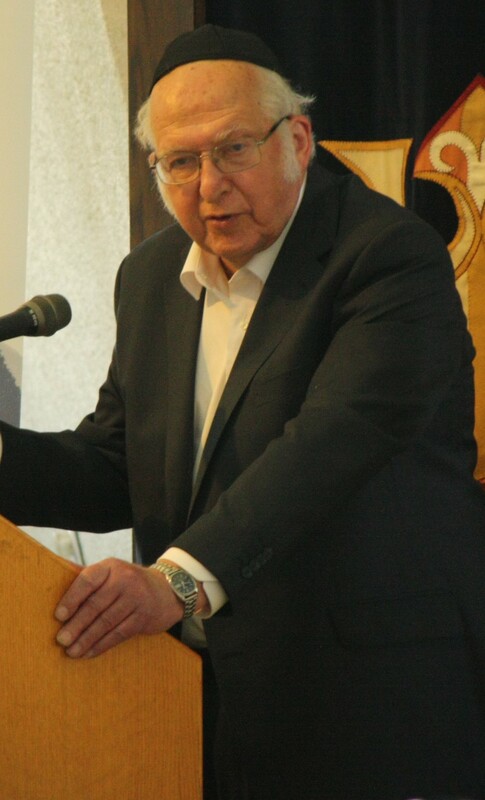 He was adamant that halachic arguments should be judged on the basis of the sources, that ideas should be judged based on their merits, that rabbis should not determine all aspects of public policy, and that rabbinic pronouncements do not remove an individual’s right to make autonomous decisions nor his responsibility for those decisions. Because Rav Aharon didn’t speak about “Gedolim”, his students generally didn’t either. And yet, now that he has left us, we all find ourselves referring to our revered and beloved teacher by that exact title: Gedol HaDor. And why? Because, simply, that’s the only way to describe what he was – one of the greatest people of our generation. He wasn’t a member of an exclusive group with special authority, because he negated the very legitimacy of that concept. He didn’t insist that his students and followers accept his opinion – to the contrary; he insisted that we think for ourselves and form our own opinions, sometimes even on matters of halacha. And yet, he taught and led tens of thousands. Among the multitudes of his students are rabbis, teachers and leaders across Israel and the world. His teachings continue to reverberate, and indeed he was a leader to the entire generation. He commanded respect and emulation, though he never demanded it. His impact on an entire generation came simply through the power of his encyclopedic knowledge, unfathomable intellect, and even greater piety, humanity and concern for others. He taught us to reject the culture of “Gedolim,” but he led an entire generation simply by being the Gedol HaDor. Though sometimes pronounced “Gadol HaDor,” I prefer to use the grammatically correct Hebrew expression. Indeed, several political parties in the current Knesset have official bodies known as “Moetzot Gedolei HaTorah” which make all decisions. The MKs in these parties are ostensibly obligated to vote only according to the instructions of the “Gedolim”. This entry was posted in Uncategorized on May 22, 2015 by rabbihaber.